Music and Songs have always been a great healer. They are significant Mood-changer and Reliever-of-Stress, working on many levels at once. 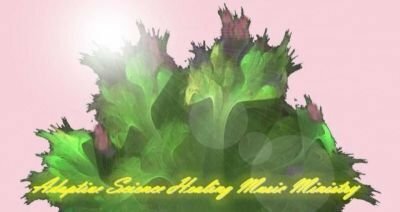 To share the experience of the efficacy of music in enhancing our strengths and creating a mood vehicle for our well-being, Dr. Angie Cook Wong of Adaptive Science Healing Music Ministry (ASHMM) is willing to give you an introduction and demonstration of Healing Music. The Mission of ASHMM is to promote and share healing music in the Creator's perspective to all mankind in order to strengthen individual abilities to achieve the goals in life.